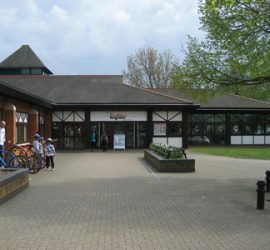 Kingfisher Leisure Centre is one of the Eastern Region’s premier indoor water-based leisure facilities located in Sudbury town centre in Suffolk! This impressive building overlooks Friars Meadow and the start of the Valley Walk. The pool has a shallow beach area, a wave machine and flumes. Other attractions include a sauna and spa bath, fitness gym, class studio and a cafe offering both hot and cold food. Also available is Little Kingfishers offering children up to 10 years fun in a four-tiered play centre.